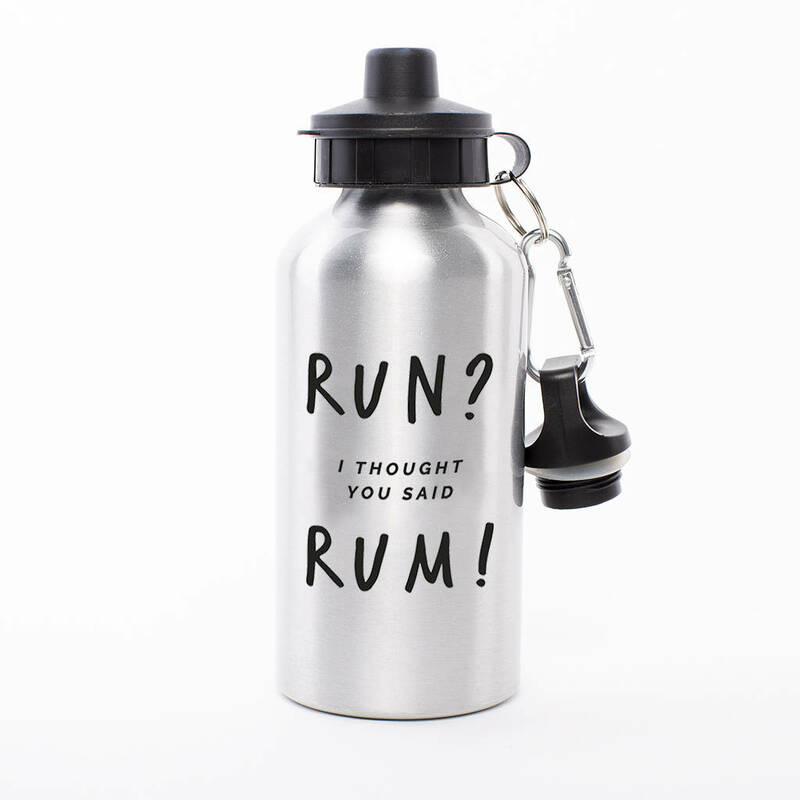 A fun water bottle for someone who loves running or rum. 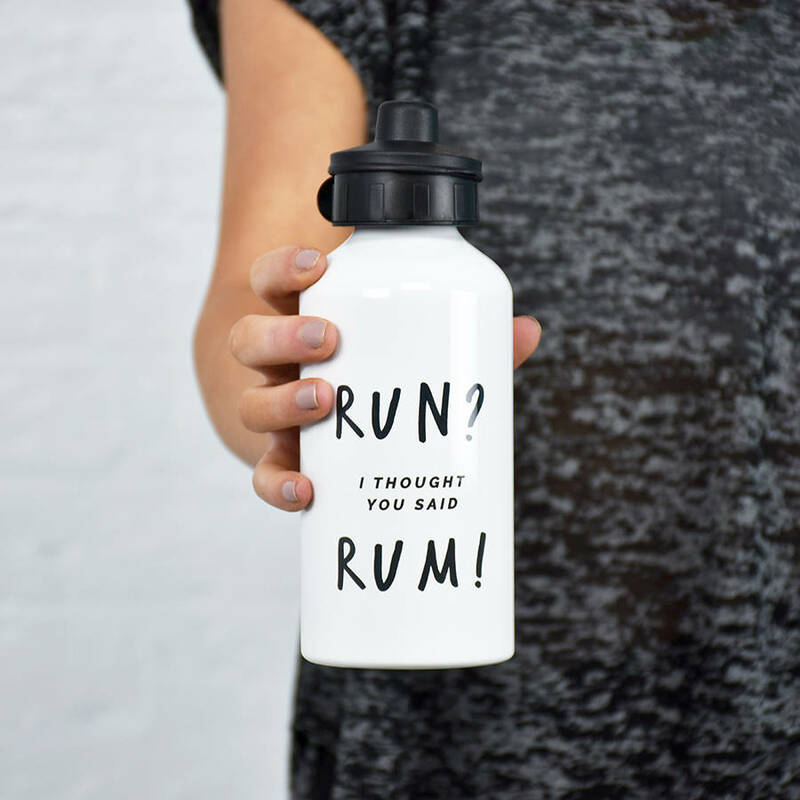 Do you love going for a run? 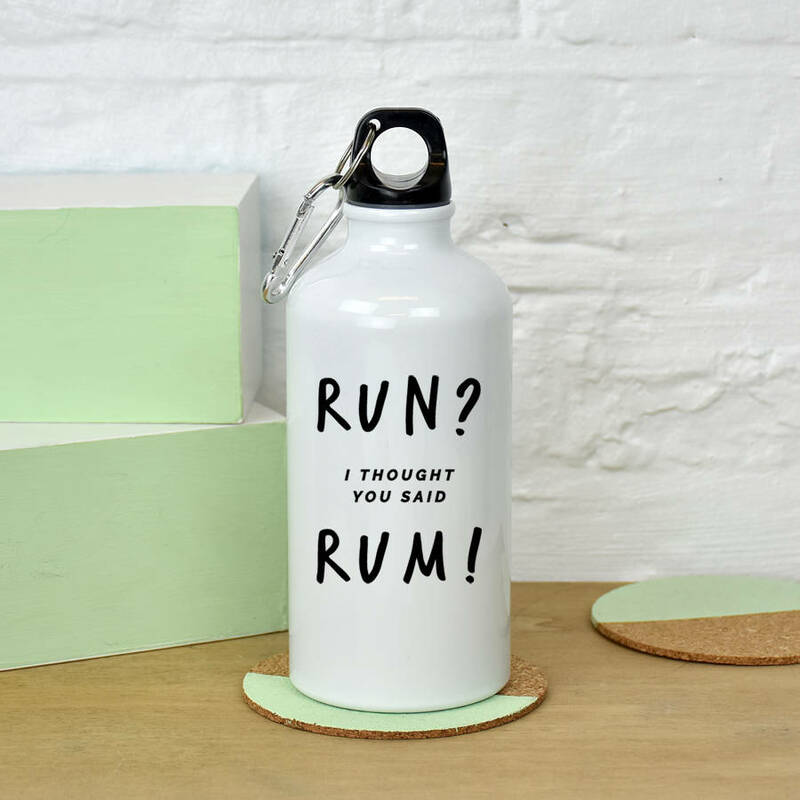 or love enjoying a tipple of rum? This useful water bottle is great for taking with you to the gym or running, with a handy screw top. 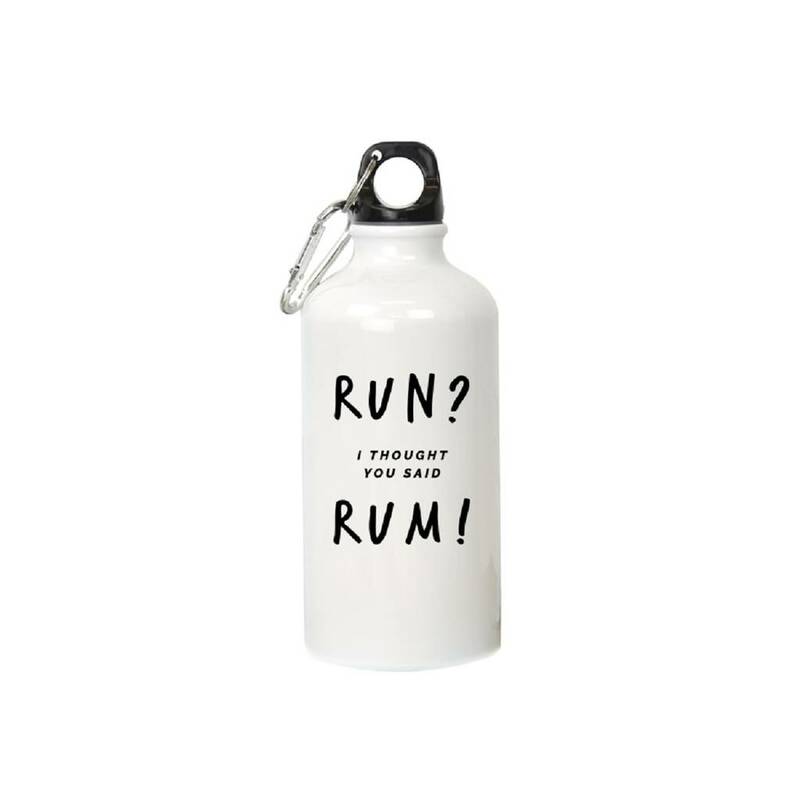 This water bottle would make a great gift for someone who loves running or rum.